Goldgy Samuel is a fast raising R&B and Afro Pop artist from Langtang North local government of plateau state but base in Delta State. He started his music career back in 2012 in Jos the capital city of plateau state. His songs Am Sorry and Give It To Me are currently enjoying on air play. 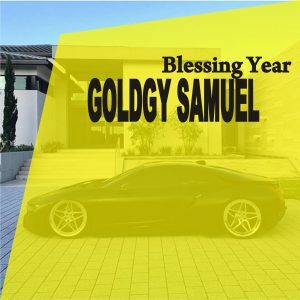 Goldgy Samuel decided to bless his Fans with this new hit titled Blessing Year. Nice shot this track will win you award. To me this is the best ever done out of all your tracks. I believe you will do better than this..
Do your best to give out the best for your best fans.